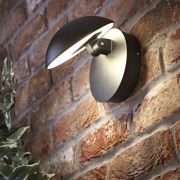 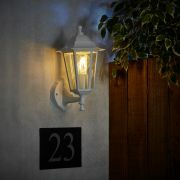 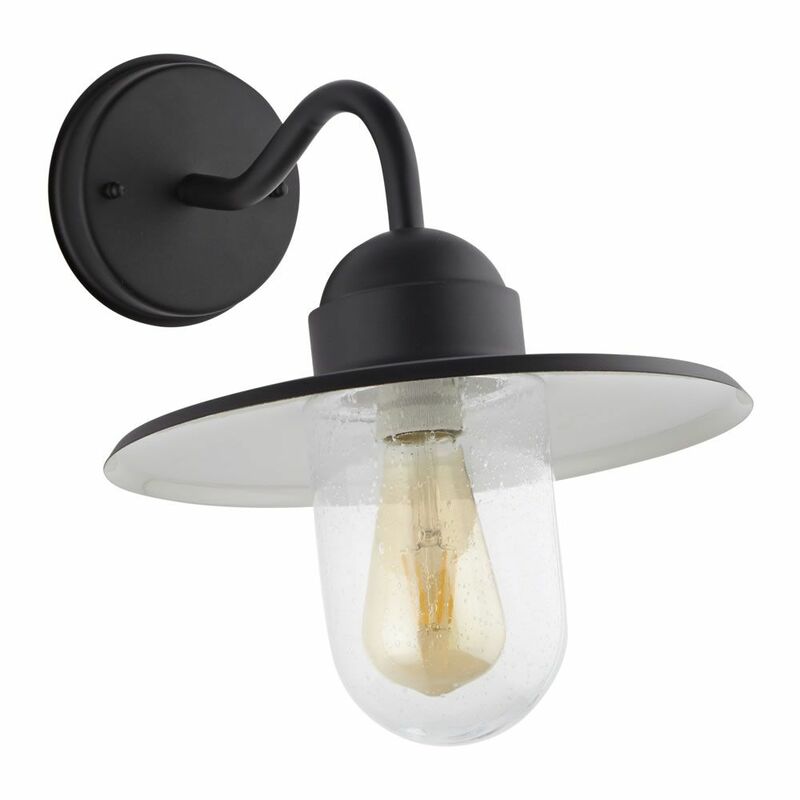 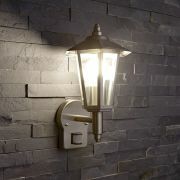 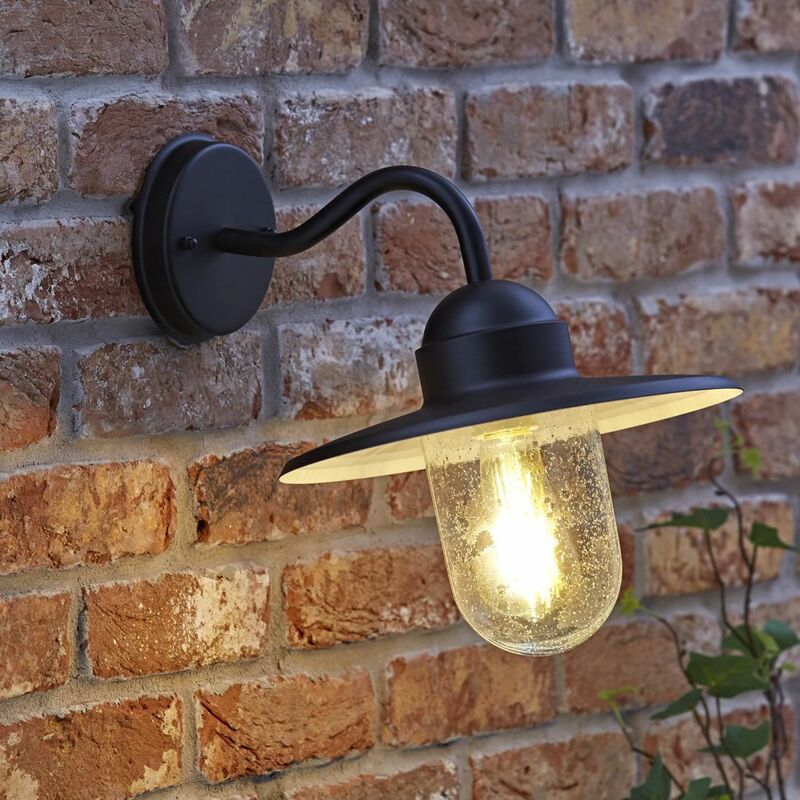 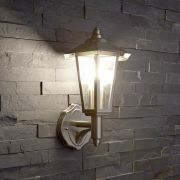 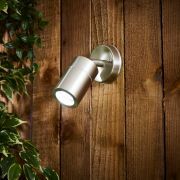 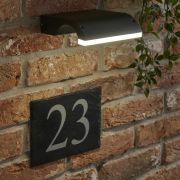 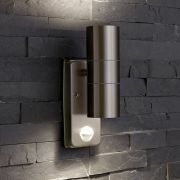 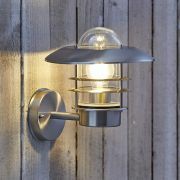 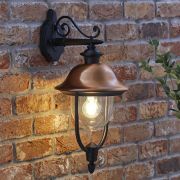 Create an inviting entrance to your home or garden with this beautiful outdoor wall light. 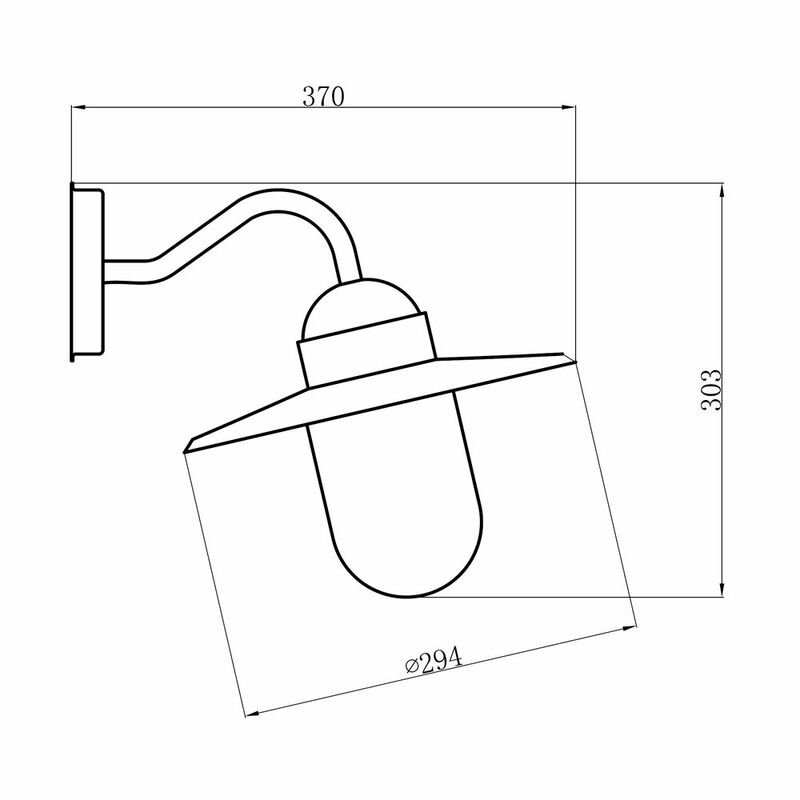 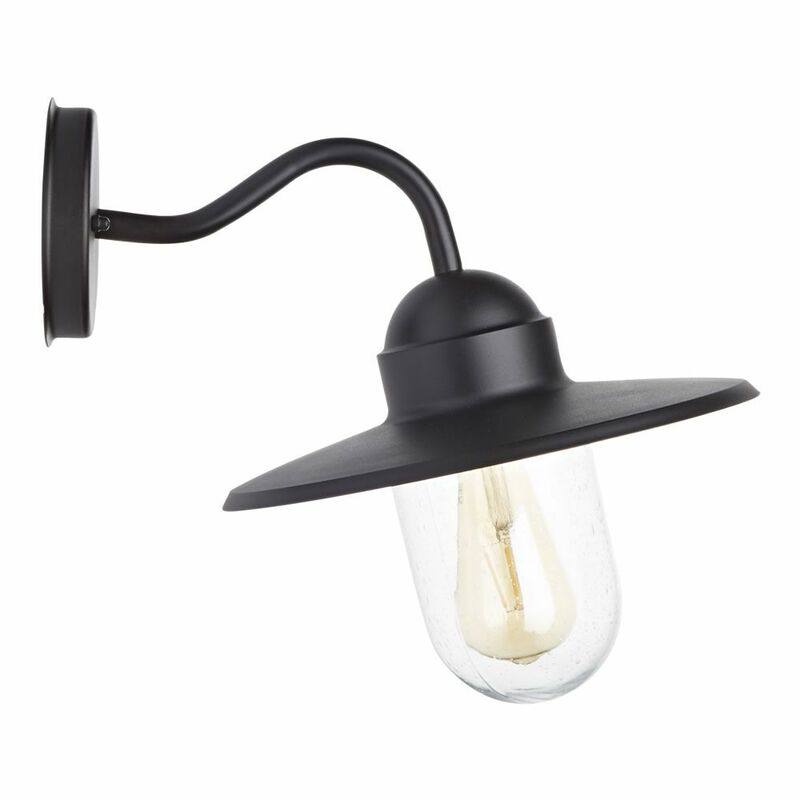 Featuring a flat black shade suspended from a curved iron arm and a seeded glass shade. 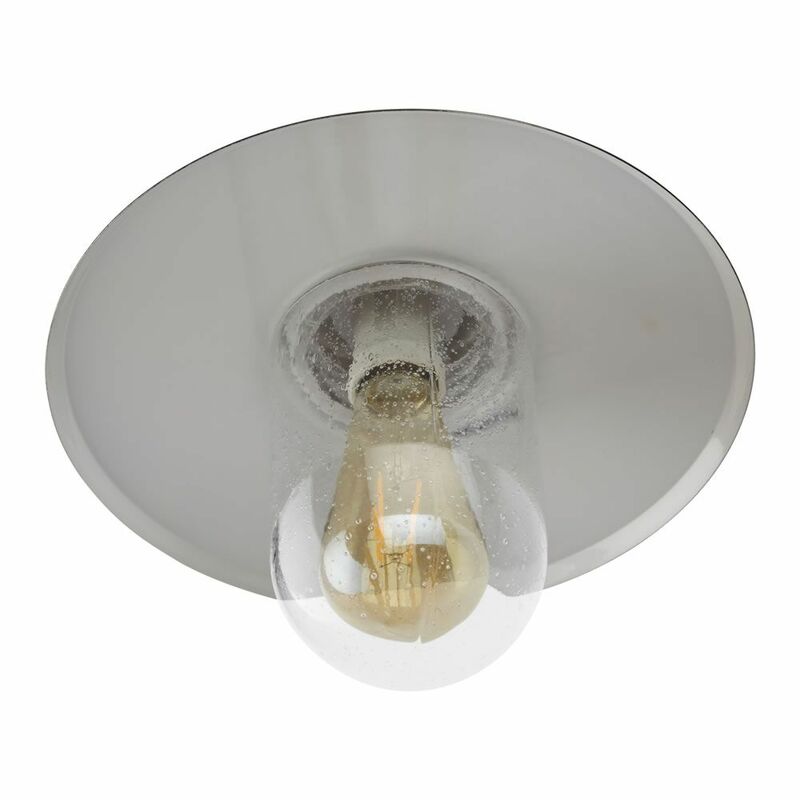 This IP44 rated light comes ready to install with a 6.2W LED filament bulb for a warm ambient light.